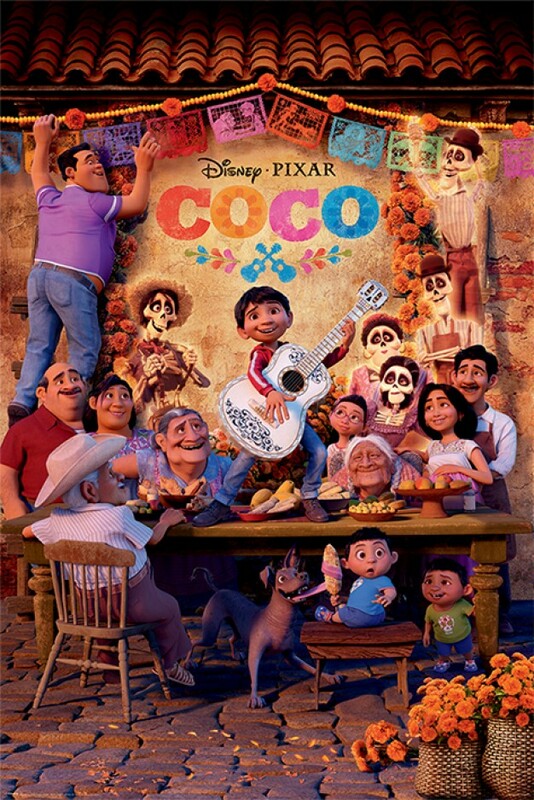 Have you seen the movie “Coco” out in theaters yet? If you haven’t there are so many reasons why you should grab your ticket stub now and hurry down to the cinema! Not only is this children’s film filled with sweet sentiment surrounding the importance of family but the writers cleverly added a detail that you know I can’t resist talking about… FLOWERS! If you aren’t familiar with the plot of the flick- I’ll fill you in on the basics of this deep and moving story. Miguel is a young boy growing up in Mexico with a family who has shunned music entirely from their homes. The practice dates back to the his great-great grandfather who abandoned his wife and child to follow his heart to become a world-renowned musician. Of course, Miguel wants nothing more but to follow in the footsteps of the man believed to be the greatest singer/songwriter/guitarist of all time but will he defy his elders to do it? The problem comes to a crossroads when his grandmother refuses to give him her blessing to follow his dreams, pushing the boy to take matters into his own hands. Seeing only one way to fix this problem, Miguel travels to the “other side” in search for his true grandfather on “The Day of the Dead”- the one evening of the year when the deceased can be reunited with their loved ones. Will Miguel meet the man who changed music forever or will he remain trapped and lose his family forever? What I loved most about the film was the incredible cinematography, particularly the scenes shot with the “Petal Blessings.” The marigold being the lucky flower chosen to signify the gesture, audiences will be pulled into the screen by the glowing, magical, orange offerings symbolizing hope to trust in yourself. His grandmother even teaches Miguel the importance of remembering the dead with a shrine of flowers.